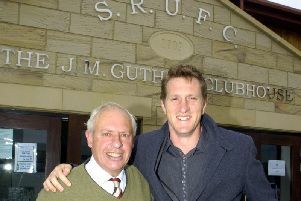 Phil Stewart is a name synonymous with Scarborough RUFC after over a decade of turning out for the club on the field. 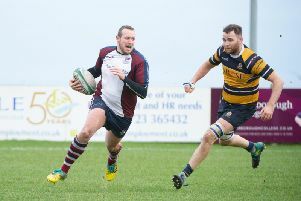 Affectionately known as the aggresive fly-half, Stewart’s playing time has been limited over the last few seasons after a spate of injury problems, but he has now switched his focus to helping guide the fortunes of the Silver Royd club off the pitch. Stewart was approached by the club’s director of rugby Mike Holder two years ago to take on the role of assistant director of rugby, and the 31-year-old was more than happy to take the club up on their offer. “I was really chuffed when the club earmarked me for a role off the pitch, it’s an honour” Stewart said. “I’ve played rugby for the club since I was 16 and some of my best friends and memories have come through playing for Scarborough RUFC. “It is nice for me to now be able to give something back to the club and hopefully help some of our youngsters coming through to create some good memories of their own. “I’d seen my playing time reduced over recent years and it was nice for the club to approach me to take on a role off the field. “I spoke to Mike (Holder) and he told me the club had identified me for a role and that I would be a good option for the future. Stewart is keen to highlight the importance of people like Holder and Ingham in the day-to-day running of the rugby operation at Silver Royd. “Mike is still the main man around the club,” insists Stewart. “He puts in so much time to making sure everything runs smoothly and his knowledge of the game is superb. “Nick has also been in his role (director of junior rugby) for a long time and we’re seeing the benefits of his and the club’s efforts with so many young players coming through. It is significant that Stewart is speaking in a packed Hartley’s bar just a week after the 10th anniversary of the club moving to their Silver Royd HQ, of which the cafe and £1million Squash Academy are the latest impressive additions. “I remember coming back from uni to play in the game when we officially opened Silver Royd and we had Will Greenwood up here,” added Stewart. “There had been a lot of rain that week and the pitch was covered in sharp sand and all the players came away with cuts and bruises all over. Stewart is very quick to point out that the surroundings in which he sits probably wouldn’t have come to fruition had it not been for the efforts of the board, in particular CEO Graeme Young. “It’s not a stretch to say that Silver Royd wouldn’t have been built had it not been for the efforts of Graeme,” insists Stewart. “He hasn’t just helped to build a successful rugby club, he’s put together a strong business that supplements the club. Stewart has been stunned by the progress the club has made since coach Simon Smith took over at the start of the 2017/18 season. 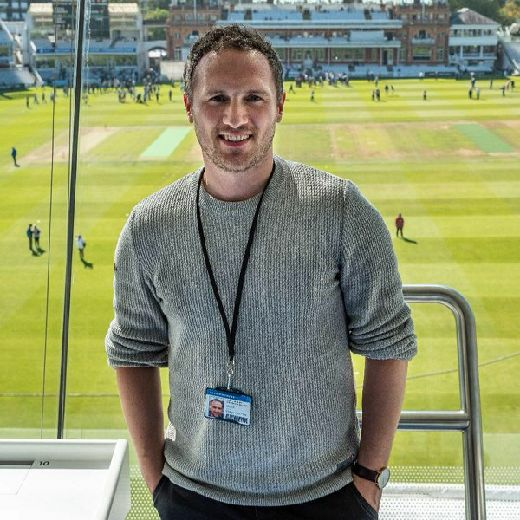 In his short tenure to date, Smith has overseen promotion from Yorkshire One to North One East and a Yorkshire Shield success. That success on the field has carried on into their new division and remarkably, Scarborough sit top of the North One East standings with just eight games left to play. “While we knew we had the potential to do this, there was a piece of the jigsaw missing and Simon has come in and taken us to the next level,” added Stewart. “Lee Douglas put a lot of time and effort in and Simon has built on that. “You can’t discuss our recent success without mentioning Matty Jones, who is a massive part of the success we’ve had and works very closely with Simon. The addition of Craig Bone as coach of the Vikings has also helped. “Craig has really helped bridge the gap between the first team and the Vikings and has been a great addition to the coaching team,” Stewart added. Two of the more challenging roles at the club fall to Danesmen captain George Wardell and Valkyries captain Jess Bray, who Stewart was also quick to praise for their efforts. “It’s been tough this year for the Danesmen and the Valkyries, with a lot of games called off, sometimes due to us not having enough players, but also because a lot of the opposition teams also struggle,” added Stewart. “Those two teams will likely reap the rewards of our investment in the youth development over the coming years as hopefully a lot of younger players will start to make the transition into senior rugby. “The work that strength and conditioning coach David White does with the junior players definitely helps to prepare them for making that step into senior rugby. Having discussed his roles away from the paddock, Stewart is also keen to continue lacing up his boots as long as he can muster it. “I suppose you’ve got to turn to the age-old statement, you’re a long time retired,” Stewart added. “I played a few games for the first team at the start of last season, but got injured. “Since then I have played my rugby for the Vikings, which I have really enjoyed. “I imagine the bulk of my rugby will be played in the Vikings from now, which is fine as I enjoy it and the team’s is doing really well under their new coach Craig Bone. “I enjoy turning out for the Vikings though and they’re having a good season under Craig, who gets a lot of help from captain Andy Rossol.